Opening weekend $30.056 million on screens 3053 screens. When you see a movie directed by David Fincher, you literally don’t know what to expect. By that I don’t mean that he’s the most original director you can find, but his films tend to violate viewer expectations. Fincher’s first four releases weren’t always stellar; 1997’s The Game seemed very disappointing, while 1992’s Alien 3 and 1999’s Fight Club mostly succeeded, but not wholly. 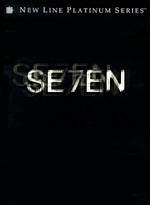 Only 1995’s brilliant Se7en showed Fincher at his full potential. Despite some misfires along the way, one thing remained consistent: Fincher kept the audience guessing. Because of that, I feel more on edge than usual when I see one of his films, and that definitely occurred as I screened his newest flick, 2002’s Panic Room. Even when the movie strayed into formulaic territory, Fincher’s rep preceded him, which meant that I second-guessed options and decisions. Does Panic Room often become predictable? Not really, though it didn’t violate the rules as much as some of Fincher’s prior films. While perhaps not as adventurous as those, Panic still offered a fairly tight and engrossing little thriller. At the start of the film, we meet newly single mother Meg Altman (Jodie Foster) and pre-teen daughter Sarah (Kristen Stewart) as they acquire a gorgeous new Manhattan home. A grad school student, Meg’s pharmaceutical tycoon husband Stephen (Patrick Bachau) recently left her for another woman, and mom and daughter resettle in an abode close to him so Sarah can have easy contact with both parents. On their first night in the new brownstone, crooks come calling. Led by hyper Junior (Jared Leto), the son of the now deceased and very wealthy prior owner of the property, they arrive in search of money hidden within its chambers. He brings Burnham (Forest Whitaker), a veteran security system installer, and Raoul (Dwight Yoakum), the wild card of the bunch; he insists on wearing a ski mask the whole time, and he seems more than slightly unstable. This crew doesn’t expect anyone to be home, so the presence of Meg and Sarah catches them by surprise. Those two quickly take up residence in the house’s “panic room”, a heavily armored security installation that houses video monitors and should protect them from intruders. The problem: what the crooks want sits inside the panic room. As such, they can’t just steal at will and depart unscathed. In addition, since Meg just moved into the house, not all of the systems have been activated, so she can’t take advantage of all the panic room’s features. The movie simply follows the standoff between the two parties. The females try to find a way out of the panic room without becoming endangered by the crooks, and this leads to a number of problematic encounters. The film maintains a claustrophobic environment, as virtually all of the action takes place within the confines of the house; only brief segments at the very start and end of the flick show us life outside that space. The tension these tight confines creates helps make Panic Room effective. Too many films allow us a relief from the tension as they depart from their many subjects. For example, We Were Soldiers badly breaks the mood at times. I like the fact that Fincher doesn’t allow us any departures from the main location. On the other hand, Fincher seems a little too preoccupied with flashy camera techniques at times. Coming from a background in music videos, Fincher always displays solid visual presentations, but he appears a little too taken with camerawork that flies all about the house. Do we really need to see a shot that zooms inside of a door’s lock? The mildly unconventional presentation really doesn’t seem to serve the story to any particular degree, though it doesn’t usually detract from the tale. Panic Room shows a distinct Hitchcock influence, with a particular nod toward Rear Window at times. Actually, Room shows another homage that seems less likely: Home Alone. Essentially, the whole movie comes across like a more dramatic rendition of that flick’s climactic segment. Heck, actress Kristen Stewart even looks like Macaulay Culkin! Room never approaches Alone’s absurd antics, of course, but the similarities remain. One weakness of Room stems from the fairly generic characters. We’ve seen all these people before, and the crooks seem especially bland. A spoiled, cocky rich kid, a loose-cannon psycho who could go off at any moment, and the nice one who’s doing it just to create a better life for his family? Those roles don’t seem too creative, and while all the actors appear perfectly competent, they don’t breathe tremendous life into the personalities. Really, the only thing that makes Room at all above average is Fincher. When viewed against his total catalog, I wouldn’t rate Room as one of his better flicks. 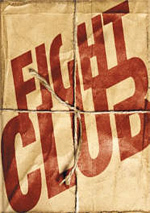 Se7en remains at the top of the list, and Fight Club definitely betters Room. Alien 3 seems more erratic but it shows more inspiration, so I’d call it a draw between that film and Room. Only The Game definitely falls below Room on the Fincher scorecard. As with Se7en, Fincher created a firm setting for the action, and that largely made Panic Room work. 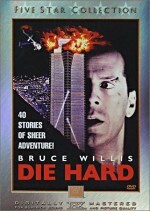 The movie didn’t excel at much, but it formed a tense and involving world that allowed the movie to generally rise above its genre restrictions. Average Fincher remains better than the best from most other directors, so count Panic Room as a good but unexceptional thriller. Panic Room appears in an aspect ratio of approximately 2.35:1 on this single-sided, double-layered DVD; the image has been enhanced for 16X9 televisions. While not a reference-quality presentation, the picture consistently offered a decent piece of work for some difficult material. Sharpness seemed excellent. From start to finish, the movie appeared reasonably accurate and distinct. I detected no signs of softness or fuzziness during this detailed image. Jagged edges and moiré effects created no concerns, but I did notice some light edge enhancement at times. Print flaws were essentially absent. Due to the prevalence of low-light photography, some slight grain showed up at times, but otherwise the picture seemed clean and fresh. Panic Room offered a rather monochrome presentation, and the DVD replicated these tones well. Most of the film stayed with a light green tint, and this hue appeared appropriately rendered. With the exception of the opening credits and the flick’s closing scene, the movie included virtually no colors other than the green. The hues remained appropriately solid without any noticeable problems. Because so much of the movie stayed in very low-light situations, shadow detail became especially important here. For the most part, those circumstances looked fine. At times, these scenes appeared a little too dense and opaque, but they usually remained clear and adequately visible. Black levels occasionally appeared slightly muddy, but they generally came across as deep and rich. No one will mistake Panic Room for a visual extravaganza, but the DVD offered a solid picture nonetheless. Both of the DVD’s soundtracks also seemed very satisfying. As part of Columbia-Tristar’s “Superbit” line, Panic Room included both Dolby Digital 5.1 and DTS 5.1 mixes. The two appeared largely identical. The DTS track provided slightly stronger bass response and sounded a little more open, but as a whole, I felt the two came across as very similar. While the soundfield didn’t provide a consistently active affair, it filled out the spectrum quite nicely most of the time. Music presented clean and well-defined stereo imaging, and the effects contributed a very solid sense of atmosphere throughout the film. When appropriate, the elements became significantly more involving. Components moved nicely around all five channels and they blended together neatly. Most of these segments remained appropriately subdued, but they still added a positive sense of dimensionality to the experience. The occasional loud scene - such as one that involved a fire blast - really kicked the track into gear, and those segments seemed very impressive. Overall, the soundfield appeared natural and accurate. Audio quality also came across as solid. Dialogue seemed crisp and well defined at all times; I noticed no signs of edginess or problems related to intelligibility. Music appeared bright and dynamic, with clear highs and tight low-end response. Effects also were very impressive. They accurately depicted the elements in question and showed no signs of distortion. Bass levels seemed consistently deep and powerful, and they lacked any boomy, loose tendencies. In the end, Panic Room provided a fine sonic experience. Panic Room offers a couple of “firsts” for CTS’s Superbit series. For one, it’s the first movie to debut on DVD as a Superbit offering; all of the others featured reissued films. In addition, it’s the only single-disc Superbit to provide any supplements. CTS developed their “Superbit Deluxe” line with two-disc titles such as The Patriot and Hollow Man, but the standard one-DVD versions remain totally devoid of extras. Until now, that is. 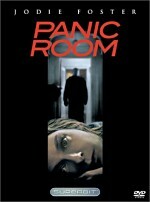 However, don’t expect to find much on Panic Room, as it includes only two pieces. We get the film’s theatrical teaser, presented non-anamorphic 2.35:1 with Dolby Surround sound. We also discover filmographies for director David Fincher, writer David Koepp, and actors Jodie Foster, Forest Whitaker, Jared Leto, and Dwight Yoakum. From what I understand, a special edition release of Panic Room is in the works. I don’t believe any formal announcement of this has occurred as of mid-September 2002, but since Fincher usually embraces supplements, it seems unlikely that this bare-bones effort will remain the only version of Room on the market. Panic Room didn’t feature director David Fincher at his best, but the movie kept me interested most of the time. Fincher maintained a good sense of tension and developed a reasonably lively little thriller. The DVD offered fairly solid picture quality that seemed less than stunning mainly due to the extremely dark source material. Audio seemed very good, but the disc almost totally omitted any extras. If you like Panic Room and don’t care about supplements, then go ahead and grab this Superbit release. Otherwise, I’d recommend you hold out for the probable special edition release of the film.